Explorer Henry Worsley has died after suffering exhaustion and dehydration during an attempt to cross Antarctica. 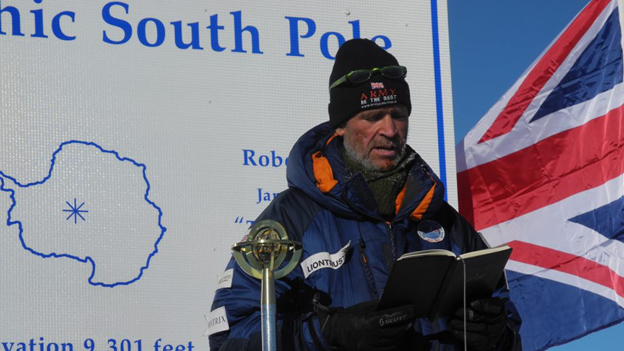 The former Army officer, 55, was 71 days into his bid to become the first person to cross the Antarctic unaided. In a statement, his wife Joanna said she felt "heartbroken sadness". Mr Worsley, from Fulham in London, died of "complete organ failure", she added. On Instagram, David Beckham said he was "lucky to have met Henry", who "served our country for so many years". He added: "No words can describe the sadness of the loss of Henry." Mrs Worsley said her husband died "despite all efforts" of staff at the Clinica Magallanes in Punta Arenas, Chile. Mr Worsley began the planned 80-day, 1,100-mile (1,770km) coast-to-coast trek in November, pulling a sledge containing his food, tent and equipment. The plan was to cross the continent "unassisted and unsupported" - with no supply drops or help from dogs or any other source. 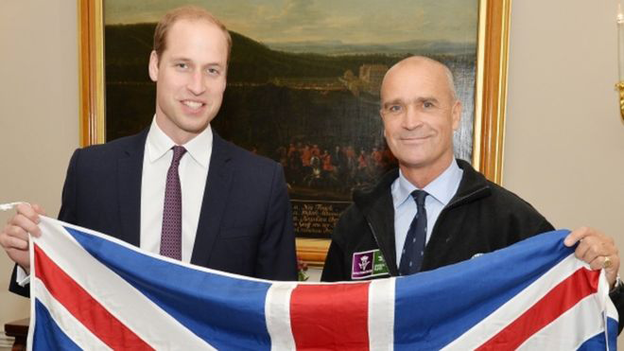 He aimed to raise £100,000 for the Endeavour Fund, which helps injured and sick servicemen and women. In October he told the BBC he expected to lose two stone (12.7kg) during the challenge. Mr Worsley said his journey should take 75 days and he would take enough food for 80 days, adding: "I could make it last a bit longer." He said he planned to make a call to a logistics base every 24 hours, and if he missed two calls a search team would be sent out based on his last-known GPS location. Asked if he was "mad" to take on the challenge, he said: "There is no black art to sliding one ski in front of the other. "What will drive me on is raising money for these wounded soldiers."